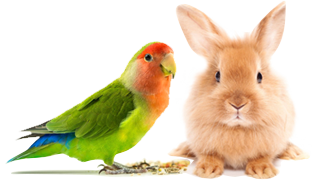 4 Easy Ways To Deter Breeding Behavior – Pet Birds by Lafeber Co. Yes, parrots do cycle, and they tend to be reproductive during a certain time of the year; just when depends on their location and other factors. Some birds, like chickens and cockatiels, are light dependent, meaning that increasing light (as the days lengthen) stimulates their reproductive hormones. But what other factors stimulate parrots to go into breeding mode? For one, offering abundant, high-energy food, which we humans sometimes provide, can have unintended consequences. After all, we like to eat — and we like variety. And we love our birds! So we don’t want to give them the same old thing day in and day out like our cats and dogs getting the same old kibble! That is part of the fun in owning a bird — cooking and doing things like making platters of food. Avoiding the Cage as Nest Box: The chewing experience is a difficult problem. We want our birds to be active in the day and use their brains. Part of their normal repertoire of activities is to chew – for foraging and for nesting. But then we put them in a cage and we often then put a cover over it and – voila — the Taj Mahal of nest boxes is created. We have this big “box” with its privacy cover and plenty of things to chew! And don’t think that a single hen bird will not lay an egg without a male around — remember chickens do that every day. Some species may not lay an egg without a male or need to have multiple pairs in the same environment before laying. But it is common for a hen parrot to not lay an egg for many, many years and then out comes an egg! This type of bird is often found down on the bottom of the cage and straining. The egg may get stuck or may pass normally, so you need to be watchful if this happens as you may need veterinary assistance! As a great bird owner, you now are equipped with more information to make your relationship with your bird more meaningful — one that stops breeding and focuses on non-breeding natural behaviors. Very helpful information. Since we moved from California to Missouri, winters have been a challenge for me to keep my Amazon happy and content. I’ll be getting Pepper to do more foraging after reading your article. He does spend time outside his large cage, and, of course, loves his bath … though on severely cold days it’s more of a spritz. That’s when he flaps his wings … not as much as on warmer days though. I guess it’s better than not at all, but I’ll keep working on it. We are glad this article could help you so much. This is why Lafeber started this column! Foraging is a great way to keep your bird active and working towards something beneficial. It also is a good way to keep you and your bird interacting with each other. Good Luck! This is the best article I have read in years. It is so nice to see something posted above the first grade level.